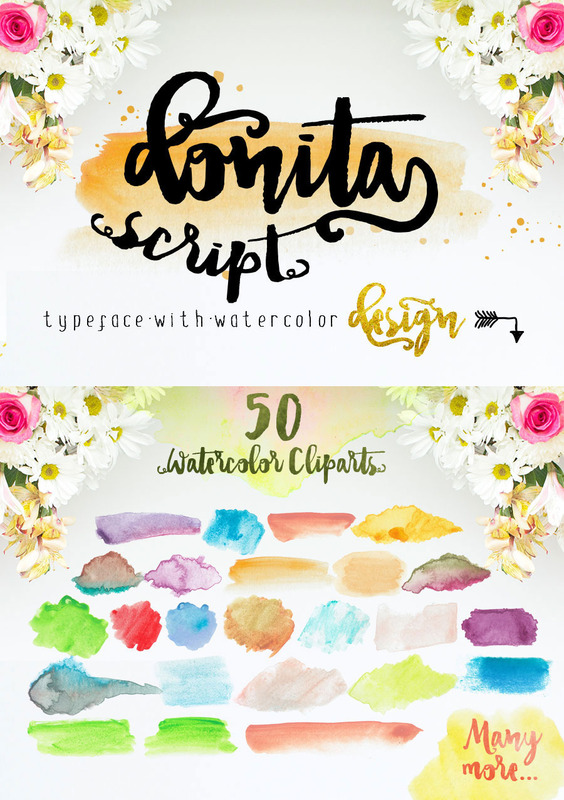 Introduce our latest font, Donita Script, handlettered brush typeface with swashes. 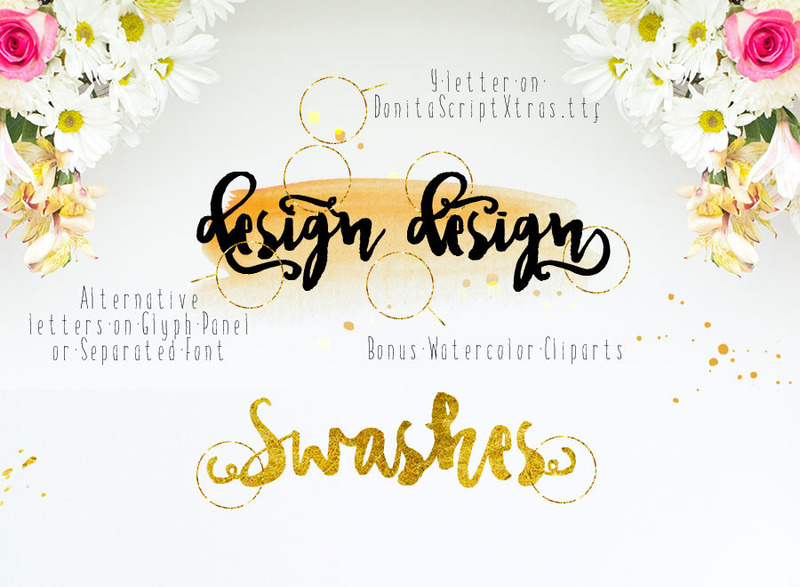 It comes with 529 glyphs, extras PNG watercolor cliparts and watercolor symbol font. 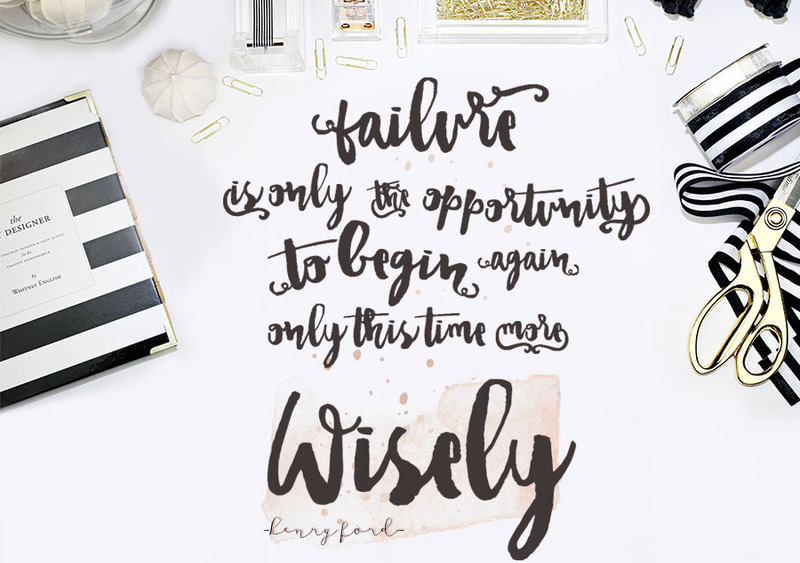 Introduce our latest font, Donita Script, handlettered brush typeface with swashes. 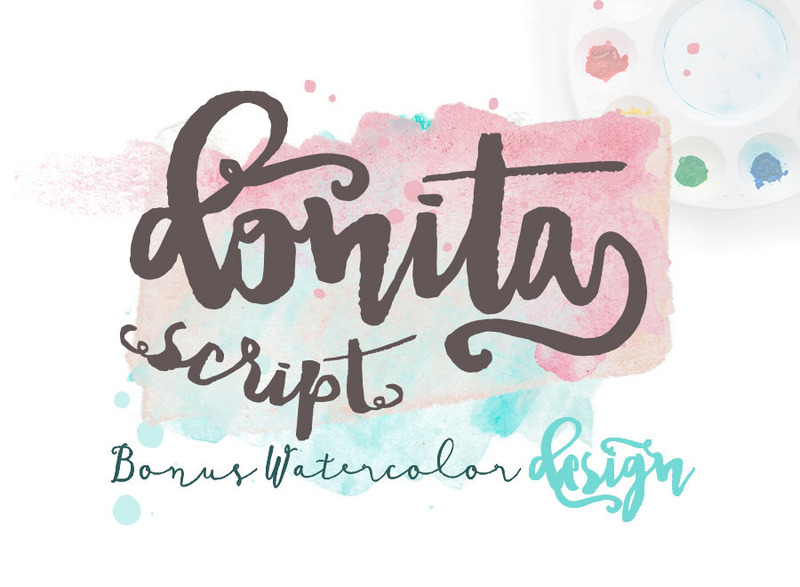 It comes with 529 glyphs, extras PNG watercolor cliparts and watercolor symbol font. 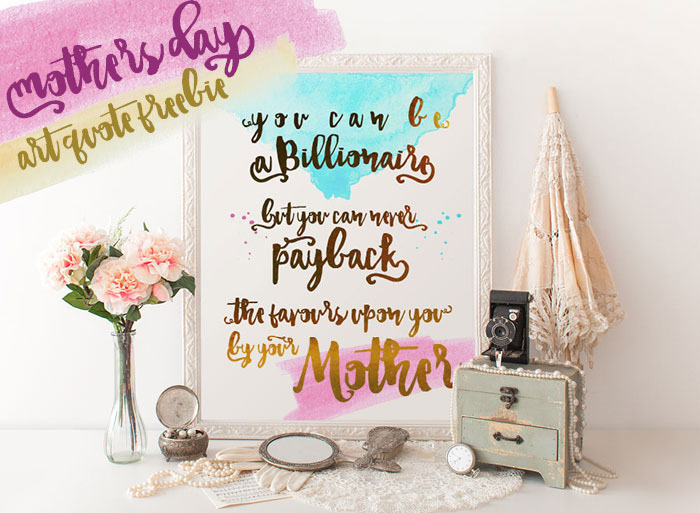 You can choose many alternative letters and clipart to create any creative design.